Far From Family, A High Schooler Finds Solace In Friendship When Henry Jimenez left his family in Mexico for the U.S., he knew he'd miss them. He didn't know he'd meet a best friend: Akiva Johnson. Nowadays they stick together — "like magnets," Johnson says. 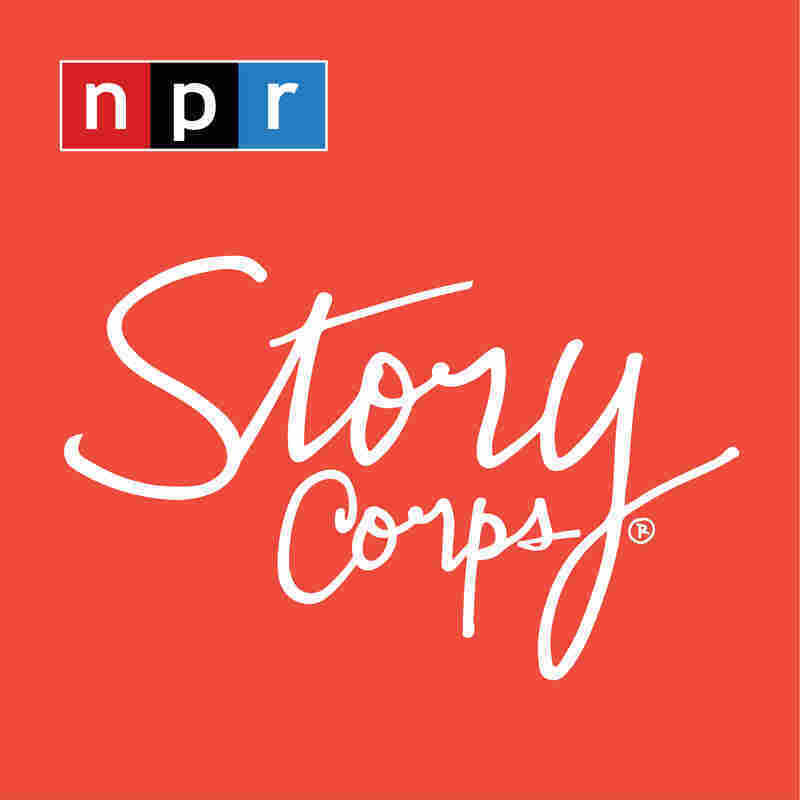 Akiva Johnson and Henry Jimenez, on a recent visit with StoryCorps. When Henry Jimenez got to the airport, shortly before flying from his home in Mexico to the U.S., he says, the goodbyes got difficult. "My little brother was crying and I tried to act tough on him, but I gave him a hug," Jimenez recalls. "I've never gave him a hug like that before, and I started crying, too." 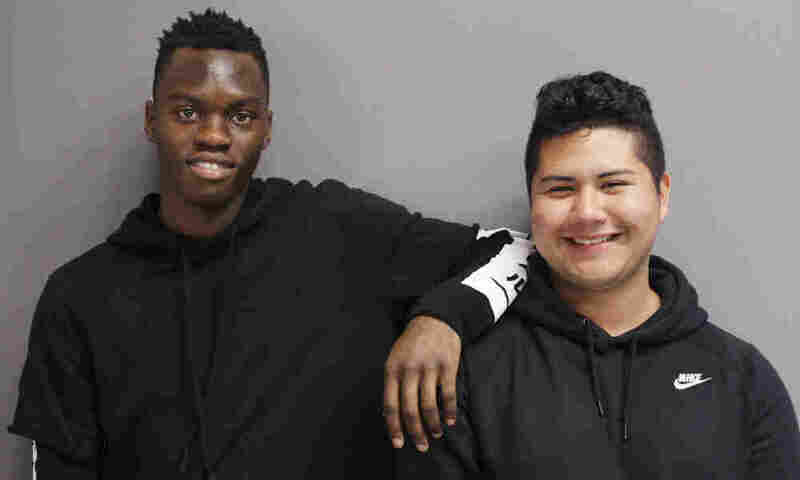 Jimenez, who is now 17, left his family in Mexico to live with his aunt in New York City when he was 13, in pursuit of better educational opportunities. And in a conversation with his friend Akiva Johnson, on a recent visit with StoryCorps, Jimenez says he still misses his mother all the time. "That's one of the hardest things for me," Jimenez says. "It's hard to leave everything, you know." Johnson understands the feeling quite well, though — "because I was separated from my mom for like three, four years, I think," he tells Jimenez. For a time, Johnson lived in Jamaica with his aunt while his mother remained in the U.S.
Perhaps it's fitting, then, that Jimenez and Johnson found each other. Before they met, things were especially difficult for Jimenez. "When I first started eighth grade, my English was not that good at all. We had to give a presentation — and everybody was making fun of me," Jimenez says. "But ninth grade, it got better." That's when he and Johnson became friends. They both had been participating in StoryCorpsU that year. Still, there are things they've been reluctant to tell each other — "like last Christmas, I was in a shelter," Johnson says. He and his mother lived in homeless shelters for several years because of the destruction wrought by Hurricane Sandy on their home. Because Johnson was one of the older children there, he didn't receive a present from the shelter. "Everyone else was getting these big gifts. I didn't get anything that Christmas." "You never told me that you was in the shelter," Jimenez says. "Usually when I have situations, I don't talk to anyone about it. And I felt sad all the time," Johnson says. "But you would smile and cheer me up." Jimenez and Johnson know something Jimenez's little brother embraced that day in the airport years ago: Jimenez may look like a tough guy, but he's a "teddy bear inside." "The fact that your outside shines so bright — it's one of your best attributes," Johnson tells him. And, for Jimenez, it's simple: "You never give up," he tells Johnson. "That's what I like about you." Through it all, their bond has only gotten stronger. "We always stick together," says Jimenez. Johnson answers: "Like magnets." Audio produced for Morning Edition by Alletta Cooper.